The internet has changed the way people work, how we communicate, buy and sell. Given widespread internet-access and the advances in the power of search engines like Google to connect buyers with sellers, the buyer is now firmly in control of the purchasing process! The sales pitch now starts earlier and is no longer an opportunity to tell a buyer all about you, it needs to be a recognition of, and response to what they actually want at key points in their buying journey. 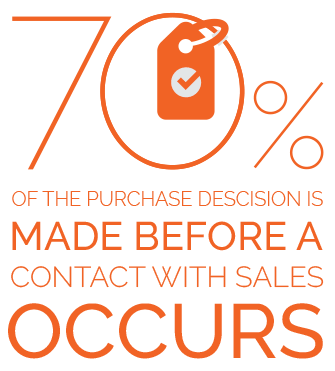 With 70% of the purchasing decision already made before a buyer even picks up the phone, businesses need to be agile and quicker at building relationships with their online visitors. Technology fuels everything that we now do, and that has made your customer much more powerful. Prospects no longer want to be sold to - they have the control! Perfect campaigns identify opportunities, nurture prospects and secure guaranteed results. We use the latest digital technology and automated marketing software to transform your lead conversion rates. Using our knowledge of buyer behaviours, we develop campaigns that connect you with your audience and drive more sales. We’re Perfect – a specialist, growth marketing agency that helps businesses to generate, nurture and convert more sales-ready leads. Our agency understands the present buyer-led purchasing landscape in terms of the challenges, threats and opportunities that it presents to B2B companies. We’re here to help businesses just like yours respond by developing an effective and robust inbound marketing strategy that connects you with more prospects, additional sales, and a better ROI. We believe in transforming organisations by enabling them to communicate perfectly with their audiences in order to achieve a predictable change in their customer's behaviour. 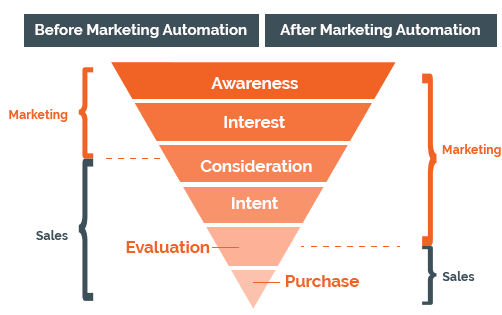 To apply our understanding of how individuals interact and process marketing messages and combining this with intelligent automated systems to drive sales conversions. Knowledge. Technology. Creative. Communication. Integrity. Thanks to Perfect and Sharpspring we are able to track the entire life of a lead and determine ROI on our marketing expenditure. Our Sharpspring setup feels custom-built for our industry and the sales and marketing solutions provided are a no-brainer for any business.